Founder of Santiago Law Services, LLC. Her professional profile comprehends over fifteen years of combined experience providing legal representation and consulting services in areas related to personnel, labor/employment compliance, among others. Attorney Santiago is a bilingual (Spanish & English) attorney licensed to practice law in Puerto Rico and also have been admitted to practice before the United States District Court for the District of Puerto Rico. 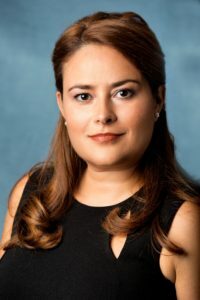 After completing a BA in Labor Relations from the University of Puerto Rico, attorney Santiago focused her career in the Human Resources field where she occupied several managerial and consulting positions. Her passion for law lead her to complete a Juris Doctor (JD) from the University of Puerto Rico starting her practice of law in 2009. Additionally, she completed a Master of Law (LLM) in Litigation and Dispute Resolution from The George Washington University, District of Columbia. While completing her LLM, she interned for the U.S. Department of Health and Human Services, Claims & Employment Law Branch, Office of the General Counsel. Prior to becoming a lawyer, she held various positions in the governmental, non-profit and private sectors, both in local and international settings. Her business acumen, experience working with groups of multi-cultural and cross-functional backgrounds and her proven ability to communicate with peers and clients of all levels, make her a bold attorney that excels in her delivery of services. As an attorney, not only has she provided legal representation to businesses and individuals, but have been in leading roles as Project Manager and serving the community in a volunteer capacity. Attorney Santiago lives in Orlando, Florida.